Roll it out and grow. 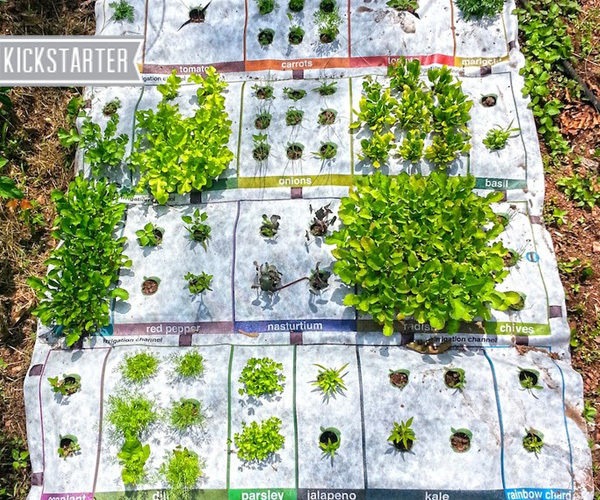 A new wave of urban and suburbanites have been riding the growing trend of turning a little piece of manicured lawn into a small garden capable of putting a few meals on the table. It takes miles off the road, its fresher, its healthier, it tastes better, its cheaper, but it can be a challenge. If you have no time to wait for seeds to germinate after finding them, figuring out what grows best with what, and how to make it grow best you might just give up before starting. 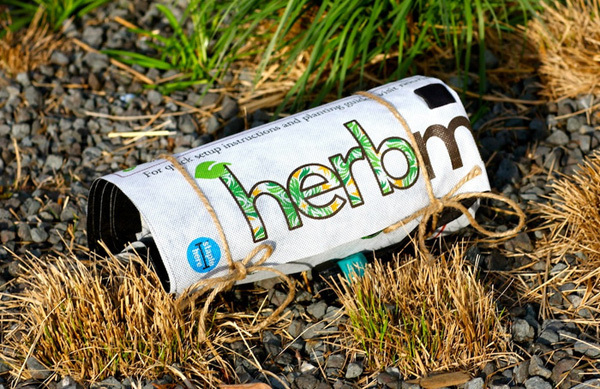 Nourishmat and the smaller Herbmat take that learning curve and literally roll it out flat. Each mat (4′ X 6′ for the Nourishmat and 2′ X 6′ for the Herbmat) is made of woven fabric that is manufactured in Greensboro, North Carolina. 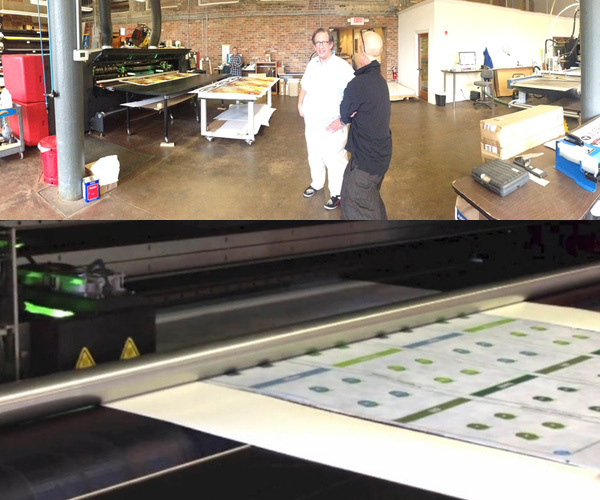 There are holes made for greens and herbs that are clearly and colorfully labeled with the printing work also done in NC. These labels make it easy to assemble your garden and with all the thought of distance between plants and which plants work well together already built in to the design. Also, attached is a hose made by Robert Bosch Tool in Peoria, IL that irrigates across the entire mat. 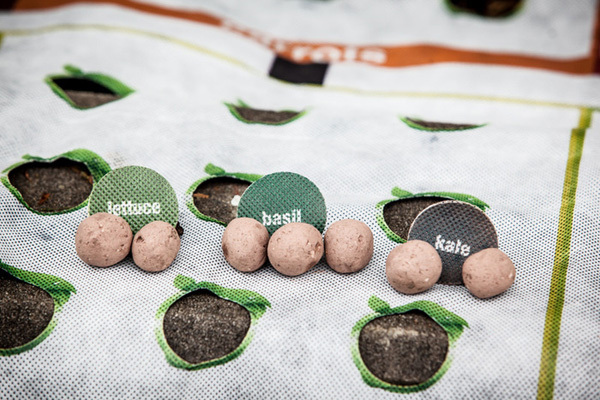 Lastly, special seed balls with clay and compost casings provide protection and helps germinate the non-GMO seeds inside. Seeds are available for tomato, carrot, marigold, onions, basil, nasturtium, radish, chive, kale, rainbow chard, jalapeno, dill, eggplant, red pepper, and more. Seed balls are simply pushed into the ground where labeled and can be reordered the next season. 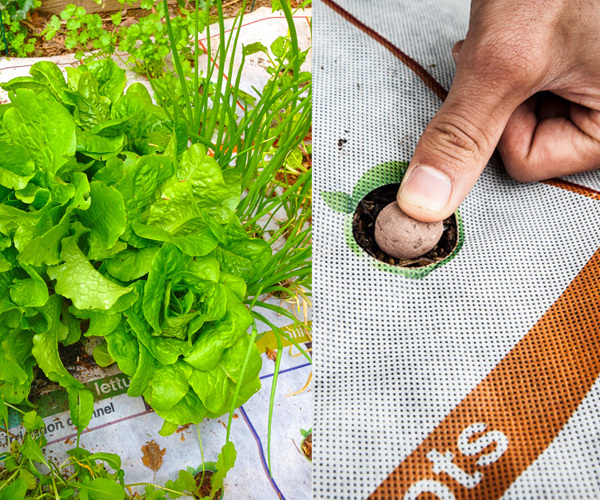 Whether its your first time touching a plant or you are looking for a way to get the kids involved in gardening, the Nourishmat is a fun and fail proof way to start growing your own food. Available through Kickstarter at Nourishmat.